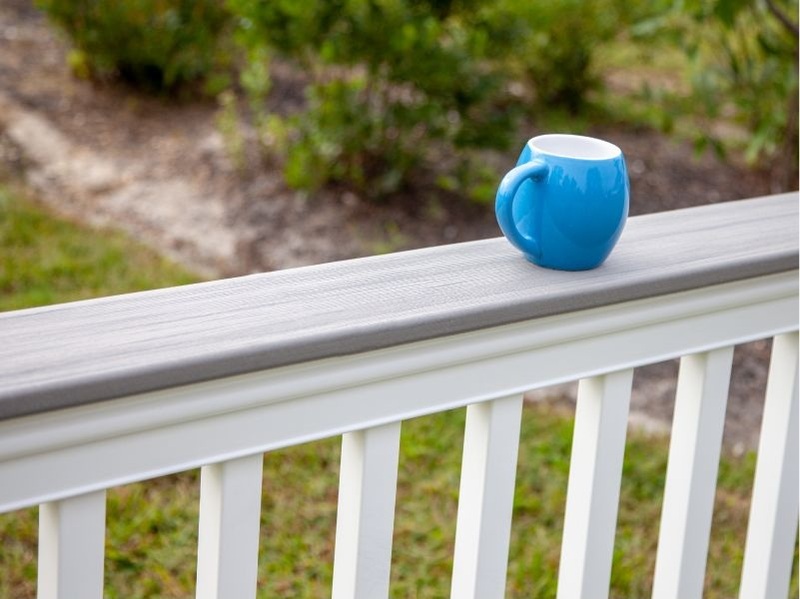 Merrimack Railings offer attractive options like hidden bracket hardware, LED lighting and composite deck boards for the top rail, creating a handy, flat top rail perfect for entertaining. Build a gate with our gate kit – including everything you need to build our matching gate with Merrimack Level Rail Kit (purchased separately). The Merrimack deck board adapter fits on top of the rail and allows for the addition of a DuraLife deck board. The perfect solution for resting drinks or plates while entertaining friends and family on your deck! We have a wide selection of post tops to choose from. ADA Vinyl Hand Rail is a code compliant secondary hand rail to be installed in addition to a primary railing installation on stairs and ramps.